Seyrusefer (English: Cruising) tells the story of Istanbul’s city ferry system and its hardworking crew. Straddling Asia and Europe, Istanbul is divided by the beautiful Bosphorus, whose bustling waterway breathes life into the city from day to night. Ferries play a vital role in daily life, helping Istanbulites commute from one continent to the other around the clock. Seyrusefer follows Sehir Hatlari, Istanbul’s oldest ferry company, and offers a glimpse into the life of their crew. Because of their 24 hour shifts, these crews have learned to work and live as a family… even down to arguing over whose turn it is to do the dishes. Seyrusefer Trailer from hakan akyol on Vimeo. 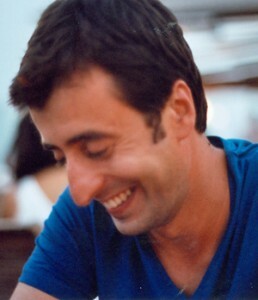 Hakan Can Akyol is a Turkish filmmaker, born in Istanbul, now living in New York City. During his undergraduate years at Anadolu University, he studied Cinema and Television and was awarded a PA internship at Turkish Radio and Television, the national broadcasting company. During this time he also worked on a children’s television show. After graduating, he moved back to his hometown of Istanbul and worked as assistant director at a TV commercial production company. He is currently pursuing an MFA in media arts production with a concentration in documentary film making at the City College of New York. His thesis film, “Seyrusefer”, means cruising in Turkish and tells the story of the hardworking crew on the city ferries of Istanbul. This entry was posted in 2014, Uncategorized on May 5, 2014 by Hakan Can Akyol.